Spend yesterday at Port St Lucie photographing the St Lucie County area. 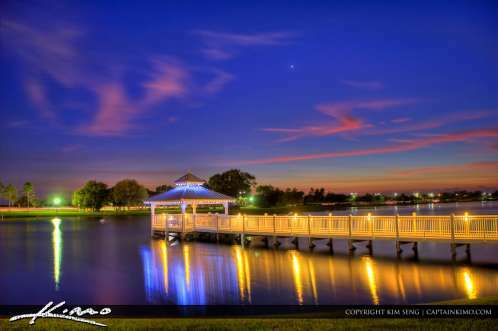 This HDR image was taken at the Tradition in Florida right after sunset during the blue hour. I found out that I don’t like it in Port St Lucie it is very jam packed full of traffic lights. Trying to get photos of the Port St Lucie area also is annoying because there seems to always be some sort of telephone pole or powerline in the way. However for this shot taken at the Tradition in Florida I was given a break. Three exposure HDR image processed using Photomatix Pro.